The Art of Fugue is considered as the culmination of the contrapuntal art of all time. It is Bach’s most enigmatic work and certainly one of the most enigmatic compositions in history. Even this unrivalled musician, whom some sources describe as capable of improvising 8-part Fugues, and who had composed the complete Musical Offering for King Frederick II of Prussia within two months of receiving the Royal Theme, laboured many years to produce his contrapuntal masterpiece. It may even be that Bach had already been inspired in his youth to compose such a work; all we know for sure is that he dedicated at least the ten last years of his life to the task. Facing this mysterious legacy, Stefano Greco started an investigation that brought him, in the first place, to identify the problems which had remained unresolved since the moment of composition and lately to solve them, after understanding their meaning. The first question to solve was related to the order of execution. Since it was published as a posthumous work, the Art of Fugue appeared as a series of fugues and canons arbitrarily ordered and therefore disconnected, without consequentiality. The work is like a phrase, in which every counterpoint is like a word. A series of unordered words cannot have a meaning. 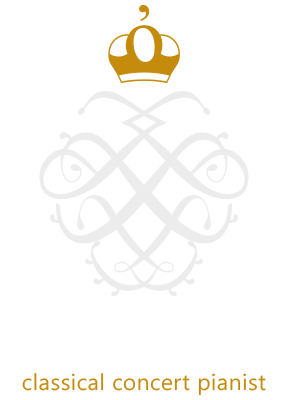 Through a scrupulous analysis, on the manuscript, of the mathematical proportions, of the recalls, of the analogies and of the architectures of the various contrapuncti, Stefano Greco could find the right order and for the first time he could publish it in a CD. Afterwards, Greco found out that Bach, for his last work, got the inspiration from a book that had been published 100 years earlier. The comparison between the Art of Fugue and that ancient book not only reinforces the order that Greco had already found in the previous research; it also explains, counterpoint by counterpoint, the rhetorical and philosophical meaning of Bach’s composition. These re-ordered “words” compose a meaningful sentence, which for the first time is comprehensible. From this comparison it is clear that every canon and every fugue of this work are linked to classic rhetoric figures (climax, gradatio, circulatio, etc.). Every figure could be used as a title for every counterpoint. In order to promote an actual and living dialogue with the public on music, Greco explains his discoveries with a simple and visual language and he enriches his explanation with a projected presentation. By comparing some pages of the book with some pages of the score, he involves the public in the evolution of his research, thus bringing to the public the thrill of discovery and the key to ancient secrets. During his performance, Stefano Greco projects the score. On every counterpoint, Greco noted down some recalls to his explanation, so that the public could recognize the meaning of music and appreciate even better the miracles of Bach’s composition. For an ideal representation, it would be best to have, in the hall, a projector with a big screen. Greco uses an iPhone, an iPad and an AppleTV. During the presentation, the images are sent to the projector from the iPhone, during the performance the score is projected through the iPad. All video contents are directly controlled by Greco, during the performance. Duration: 80 minutes + talk. BoZar Theatre (Brussels, Belgium); Sinopoli Hall – Auditorium Parco della Musica (Roma, Italy); Wigmore Hall (London, UK); Kaufman Center (New York, USA).